Regionalization of complex surgical procedures to high-volume centers is a model for improving hospital survival. 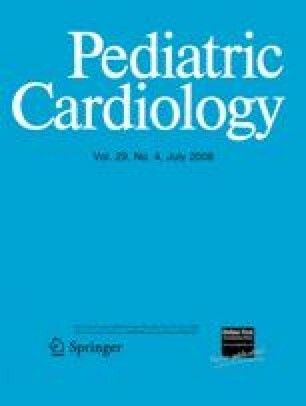 We analyzed the effect of institutional volume on hospital mortality for the Norwood and arterial switch operations (ASO) as representative high-complexity neonatal cardiac procedures. Analysis of discharge data from the 2003 Kids’ Inpatient Database (KID) was conducted. Association between institutional volume and in-hospital mortality was examined for the ASO or Norwood procedure. Logistic regression analysis was performed to calculate the probability of hospital mortality for both procedures. Significant inverse associations between institutional volume and in-hospital mortality for the Norwood procedure (p ≤ 0.001) and the ASO (p = 0.006) were demonstrated. In-hospital mortality decreased for the ASO as institutional volume increased, with mortality rates of 9.4% for institutions performing two ASOs/year, 3.2% for 10 ASOs/year, and 0.8% for 20 ASOs/year. Similarly, in-hospital mortality rates for hypoplastic left heart syndrome were 34.8% for two Norwood procedures/year, 25.7% for 10 Norwood procedures/year, and 16.7% for 20 Norwood procedures/year. An inverse relation was observed between in-hospital mortality and institutional volume for ASO and the Norwood procedure. These results suggest that selective regionalization of complex neonatal cardiac procedures might result in significant improvement in hospital survival nationally. The project was supported by the Michigan Congenital Heart Outcomes Research and Discovery unit (M-CHORD) with intramural funds from the Department of Surgery, University of Michigan.